The subversive notion of the common man. Oh the humanity! Good heavens. Former Alaska Governor Sarah Palin has a bad day and suddenly out comes this stream of ill-disguised venom going after the woman. She’s a this and a that and “we told you so.” Yada yada yada. Get the smelling salts! Methinks all this commotion over Sarah Palin is really representative of something else. But be that as it may, the series was spot on in the essence of its history. The British were a bunch of arrogant, haughty, bullying snobs and the good citizens of Boston detested them. Historian John C. Miller, writing in his 1943 classic Origins of the American Revolution, describes the relationship between the Brits and the Bostonians this way — in a fashion recalled by the momentary travails of Sarah Palin in Iowa. This is another way of saying that Sam Adams and his Boston compadres were what we might now called “American Originals.” They simply could not have cared less what the elites of British society — or their American Tory allies in Boston and elsewhere in the colonies — thought of them. Sam Adams — and indeed all of his revolutionary minded compatriots in Boston — were American Originals. The mistake being made about Sarah Palin — it is a mistake all too common for American political elites of both parties — is to dismiss this key characteristic that is at the very core of America itself. The American Revolution is a story of American Originalism — and so too is the story of Sarah Palin. She is openly despised by elites because they see her as “subversive” in the same fashion as those Bostonians of long ago. As that passage from historian Miller’s 1943 classic illustrates, a key component of elitism is the terror that the “leveling, republican spirit” so in evidence in the Boston of the early and mid-1770s would spread far beyond Boston itself. In those days the fear was that this spirit would cross the Atlantic to Great Britain itself. Transfer these sentiments to today’s America — and in this case to today’s Republican Party — and it is precisely the reason why so many liberal and GOP elites have such condescending disdain for Governor Palin. They simply cannot abide Sarah Palin because of her appeal to what Miller called back then the “common people”. It is instructive to note that this is no accidental thing. Years after Sam Adams this treatment would be dished to those the American elites saw as representative of this “rare leveling principle.” American history is filled with names like Andrew Jackson, Abraham Lincoln, Franklin Roosevelt, and Ronald Reagan, all of whom were seen in their day as “levelers” of “persons of the best characters and best estates.” Today this treatment is aimed at Palin, but she’s not alone. The seething antipathy displayed by various elites in and out of the media or the GOP to Donald Trump is a version of this, dismissing Trump repeatedly as not “serious” when in fact a more serious potential candidate could not be conjured. A billionaire presidential candidate unafraid to spend his own money — and totally unafraid of taking on his own party’s establishment? That’s serious. So too is there a hint of this elitist reaction in the reception to Dr. Ben Carson, not to mention Senator Ted Cruz, the latter drawing almost foaming reactions from the GOP Establishment. As evidenced by the sudden rise of Wisconsin Governor Scott Walker in Iowa, Walker’s steadfastness in withstanding the liberal fusillades repeatedly sent his way for standing against the rich and powerful liberal elites of Wisconsin has sent his poll numbers inside the base skyrocketing. One thing is for certain. It is foolish beyond measure for people to dismiss Governor Palin or any of these others as the 2016 political season moves ahead. They are not creatures of conventional wisdom. They couldn’t care less that they make the prognosticators and elites foam or that they had a bad speech day or bad anything else day. Each in their own way, they are modern versions of Sam Adams. Governor Palin is exactly in the spirit of the Sons of Liberty. She is an American Original. 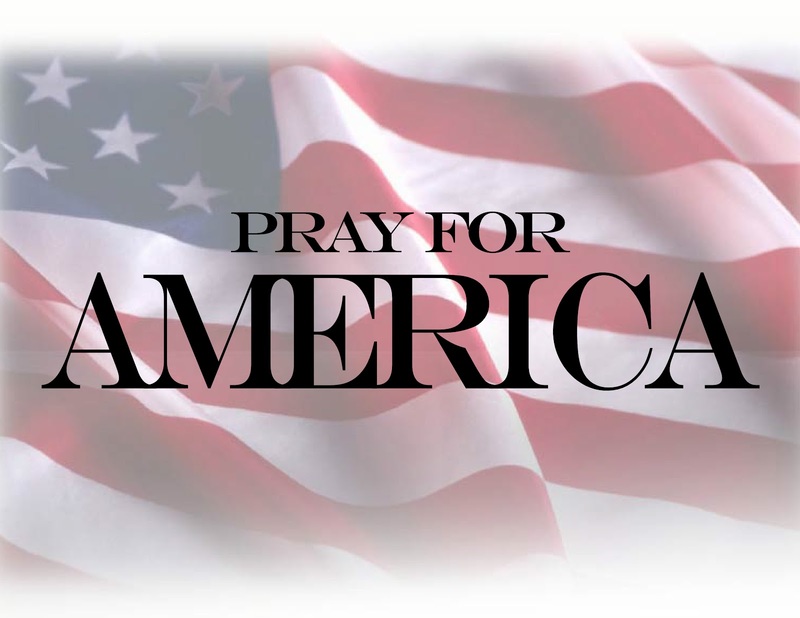 What really drives the American elites of today crazy is that just like their British counterparts from the Boston of 1775, they see themselves as outnumbered by millions of American Originals. This entry was posted on February 5, 2015 at 8:50 PM	and is filed under Uncategorized. You can follow any responses to this entry through the RSS 2.0 feed. You can leave a response, or trackback from your own site. John, thank you for your support of Governor Palin. But you are aware that Gov. 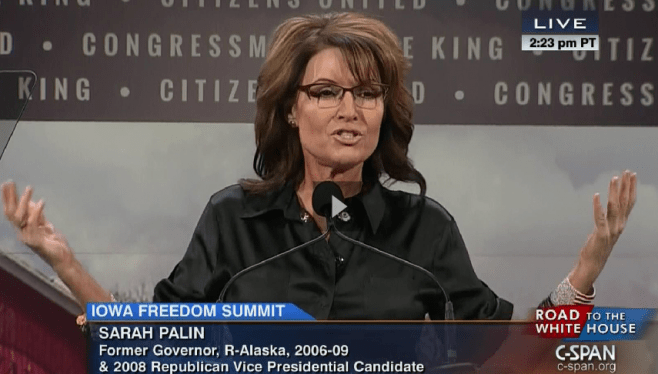 Palin’s interview with Katie Couric was heavily edited to make her look bad, aren’t you?